The Mountain Mist Band came about due to our need for and desire to work with a live band. We have been very fortunate to have crossed paths with the members that now make up The Mountain Mist Band. Our very good friends Richard, Ian, Tiny and Andrew have made us aware of how enjoyable and satisfying it is to be a part of such a talented group of musicians. They have accompanied us at numerous festivals and concerts including the Bay of Islands Country Rock Festival and several charity concerts we have organised. We are pleased to announce that we will once again have The Mountain Mist Band supporting us at the 2013 Bay Of Island Country Rock Festival. Ian was born in Scotland and by the age of 10 was teaching himself to play guitar. In his early teens he was playing in a school band formed by one of his teachers. They performed in Glasgow and surrounding cities. In 1966 when Ian was 15 his family immigrated to New Zealand and Ian found himself in Auckland. While walking the streets on the Northshore he heard music coming from one of the local bars. Being curious Ian went to listen, the band playing was “The Feeling”, and Ian eventually became their lead guitarist. During the late 1960’s Ian played in a number of bands the most successful being “Epitaph” which toured New Zealand and at times backed artists such as Peter Posa. Ian plays a variety of genres including pop, rock, jazz, blues and country and has also worked as a session musician. He has been a member of no less than 20 bands since emigrating to NZ. At present he is lead guitarist for the acoustic band “Shimian” who released their debut cd, Right Time, in 2009. They appear as a duo, trio or four piece line-up. Since 2008 Ian has also been lead guitarist for “The Mountain Mist Band” appearing with them at the Bay of Islands Country Rock Festival and numerous charity concerts. 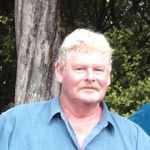 Ian has been attending the Bay of Islands Country Rock Festival’s and the Bay of Islands Jazz Festival’s since 1998. 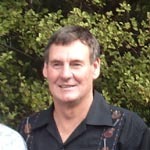 One of New Zealand’s outstanding lead guitarists and very modest about it Ian says “I just love to play and be there”. Born and brought up in Auckland, I was taught to play bass guitar by a friend who played lead guitar in a band called “LAZER”. They wanted a bass player and I was the only one out of about five of us friends who could keep in time and play in tune, so I got the job. With some borrowed gear, and a lot of hard practice, we played our first gig three months later at Auckland University with about 20 songs in our repertoire. This was the early 1970’s and band work was plentiful around Auckland, so we continued to improve and increase our repertoire, and play various pubs and clubs around Auckland. As my experience increased, I then played with various bands leading to some recording work. In the mid 1970’s I played with a better known band called “NOAHZARK”. I also played various festivals and toured around NZ. After starting a family, and needing a regular income, I gave music away for about 15 years. About 10 years ago a friend introduced me to country music and encouraged me to play at their local club. It took some time to get back in the saddle, but I have really enjoyed the experience and I have met, played with and backed a lot of really nice people over that time. Long may it continue, “KEEP ON ROCKIN’”. Andrew first started playing Lap Steel as a 7 year old when he was taught to play by the legendary Bill Sevesi. Andrew and his sister who played the piano accordion and keyboard become a well sought after duo at various shows and clubs as well as winning various local talent quests. 6 months tutorial from Gray Barlett, Andrew decided to teach himself the finer points of guitar playing and has become an accomplished lead guitarist. After several years of performing at gigs such as weddings, socials and clubs etc, his sister unfortunately passed away and the members dis-banded. 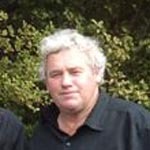 After a gap of many years only playing occasionally with the likes of Red Hewitt, he joined the Country Music scene in 1998. He went on to win the Instrumental section at the Auckland Awards in 2004 & 2005. 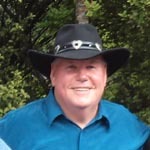 He then became involved in various committees and is currently President of Waitemata Country Music Club. 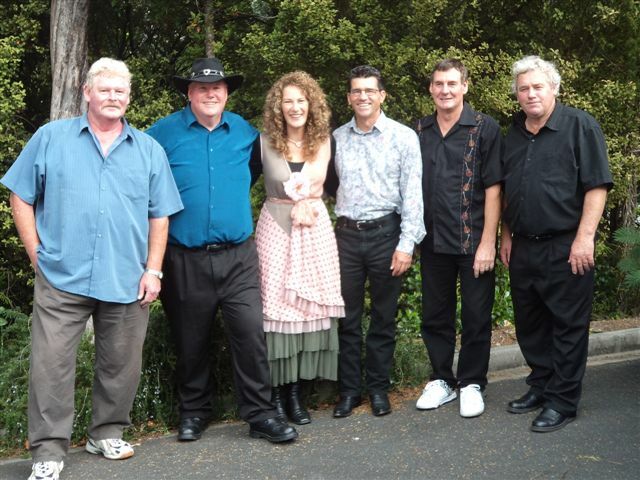 He currently plays Lead there as well as at Helensville River Valley Country Music Club. Apart from his love of music, his other loves include his very supportive wife Debbie, his blended family of 7 children, two grand children as well as fishing & boating. He is now enjoying sem-retirement after 35 years of being a self employed Motor Mechanic.